We believe in involving our clients in every aspect of the design of the website. We spend a great deal of time researching our client particular area of business before beginning the design of the site. 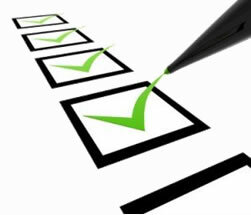 As the website takes shape you'll be able to view and critique it, make recommendations which we will implement. Only when your totally satisfied with the completed website will we go live. Do you currently have a website that is just not doing the business? • Raising awareness of who you are and what you do. • Allows you to market and advertise 24/7. • Interact with clients by means of newsletters and text services to keep them 'up to speed' with what you're doing. • Generate income. Used properly and maintained regularly, a website is an integral part of any advertising and marketing campaign. Our advise is free and we'll be happy to discuss a re-design and maintenance contract. We offer an annual maintenance contract that takes all the worries out of keeping your website 'fresh' and 'up to date'. We understand that you have a business to run and don't have the time to update and add new items, we do, that's our bag. As the date for a featured event passes we guarantee to remove it from your website within 24hrs, thus keeping your website bang up to date 24/7. Nobody wants to view last Christmas's menu. We construct E-Commerce websites (shopping-carts) for all sizes of business. We facilitate the set up of the merchant accounts and can offer a maintenance contract to oversee and administer your website. Whether you're looking to sell 5, 500 or 5000 items, we have a package to suit your needs.